South Korean retail giant Lotte opens a new premium outlet in Giheung, Gyeonggi Province, on Thursday -- the second-largest among its branches nationwide and the latest addition to large-scale malls launched by retailers here in hopes of raising offline sales. Lotte is pinning hopes on the latest outlet’s location, citing three highways and five major roads passing through Giheung. 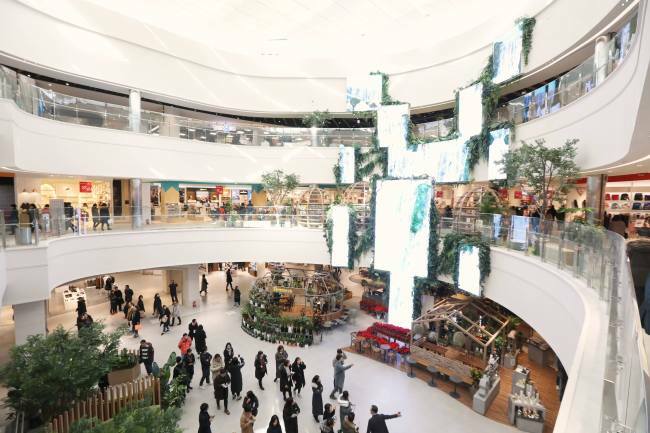 It aims to attract some 25 million shoppers in and around the region including Yongin, Suwon, Dongtan and Bundang in Gyeonggi Province. “We see it as an industry trend to open a mega mall or a premium outlet because there are consumer needs for convenient shopping and enhanced lifestyle,” said Lee Jung-hye, who designed the outlet, adding that Korea’s premium outlet market is valued at 20 trillion won ($17 billion won).